During the late 5th and the 4th centuries BCE, artistic talent and extraordinary craftsmanship met to produce the most magnificent Greek jewelry known. The finest goldwork of this period comes from peripheral regions of the Greek world, while there are hardly any finds from mainland Greece. It has been thought that there was a shortage of gold in Greece during the Classical period, but restrictive burial customs are a more likely explanation. Splendid gold jewelry has been discovered in Macedonia, in southern Italy, and in Thessaly, where this pair of earrings originated. 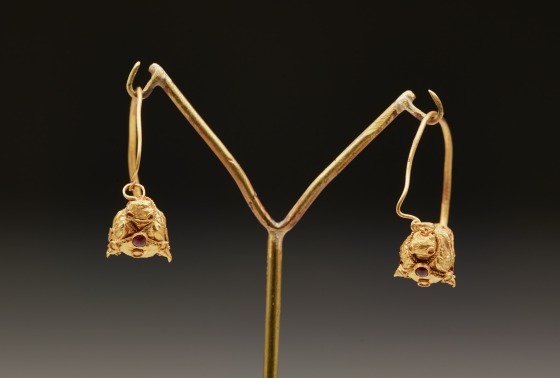 Each earring features a bull's head worked in gold repoussé, with an inlaid cabochon rubyb, and is ornamented with gold rope wire. 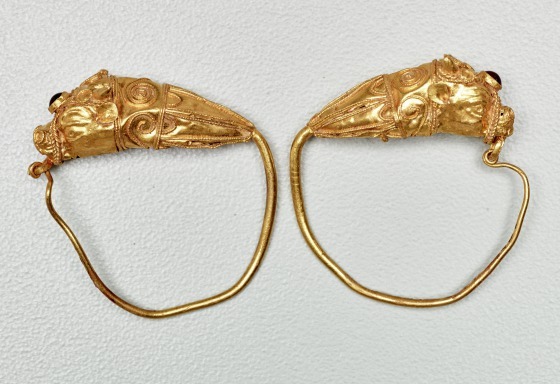 This type of hooped earring with animal head was a common one; in addition to bull motifs, lynx, lion, and antelope were popular. The origin of the type probably goes back to the animal art of the Achaemenid or Persian empire. 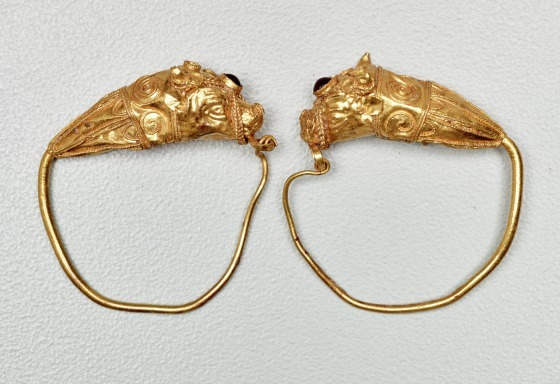 Such animal head earrings only become common in the late 4th and 3rd centuries BCE. 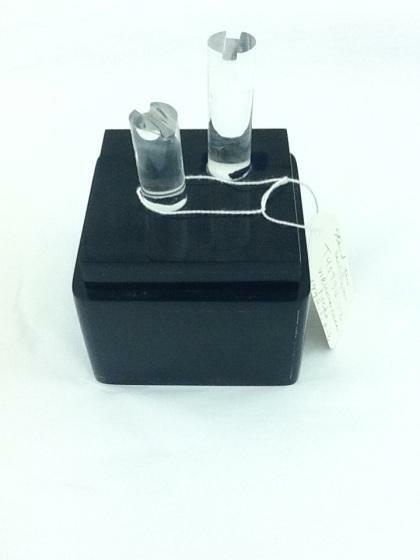 The detailed workmanship of the animal head and the fine filigree ornament are especially notable in these pieces. 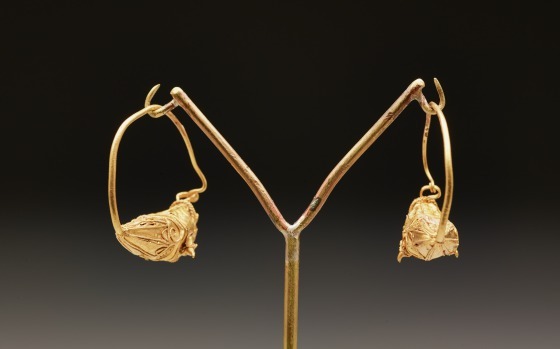 Barbara Deppert-Lippitz, Ancient Gold Jewelry at the Dallas Museum of Art (Dallas: Dallas Museum of Art in association with the University of Washington Press, 1996), 61-62, 132.